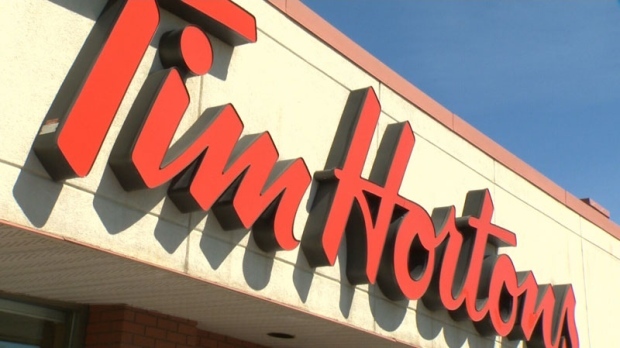 Chatham-Kent police say two 13-year-old boys have been charged with arson after two fires in Tim Hortons washrooms. Emergency crews responded to a dumpster fire on Beatty Street on Saturday night around 9:40 p.m. The fire was quickly extinguished with no damage caused to any buildings in the area. Seven minutes later, emergency crews responded to a fire inside a washroom at Tim Hortons on Park Avenue East. The restaurant was evacuated and the fire was extinguished. Damage was estimated at $10,000. Police further learned that the garbage inside the washroom at Tim Hortons on Third Street had also been set on fire earlier in the day. It was extinguished by staff. Through investigation, police say they identified the boys responsible. Two 13-year-old Chatham youths have been arrested and charged with three counts of arson. They were released with conditions to their parents pending a future court date of May 13, 2019.